Buy the #S280 I.M.C.A. 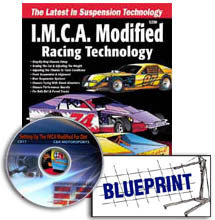 Modified Racing Technology, #V184 I.M.C.A. Modified Chassis Setup For Dirt DVD and #B600 I.M.C.A. Modified Blueprint together. Special Performance Pack is only $74.95.